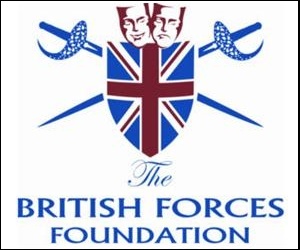 SAVE 25% O2 Mobile Phone Deals for Military Forces Personnel! Forces Discount Offers bring you some of the best and latest Mobile Phone Deals from O2. They have loads of great offers available and at reasonable prices for lots of different mobile phone contracts. Get the latest Deals and Offers from O2 - amazing discounts on mobiles, accessories and tablets! Get up to £120 off! Available for Military Forces, Family and friends. 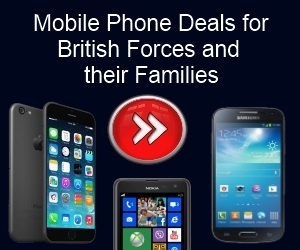 O2 have been around for years and therefore can offer some good deals for Forces Personnel and their Families. We have provided you with the discount codes required for each section of the military. The instructions to purchase are simple and listed below. So make sure you use the excellent discount codes to save money for you and the family. 3 Once you have an account you will need to enter our code NHS01. You will also need a valid Forces email or your recently payslip or national insurance number. Get 25% off Airtime Plans with 3GB data and above OR 15% off Airtime Plans Below 3GB. You need to purchase the phone on O2, then use voucher code ARM01 once you have an O2 Open account. Get 25% off Airtime Plans with 3GB data and above OR 15% off Airtime Plans Below 3GB. You need to purchase the phone on O2, then use voucher code NAV01 once you have an O2 Open account. Get 25% off Airtime Plans with 3GB data and above OR 15% off Airtime Plans Below 3GB. You need to purchase the phone on O2, then use voucher code RAF01 once you have an O2 Open account. Get 25% off Airtime Plans with 3GB data and above OR 15% off Airtime Plans Below 3GB. You need to purchase the phone on O2, then use voucher code XQE31 once you have an O2 Open account. O2 is one of the UK’s leading communications companies and one of the most well known to boot. O2 is one of the top telecommunications service providers in the UK and the official website provides all the information about the currently available pay and go deals, monthly plans, and SIM only offers. The company is renowned for providing its customers with great deals and can also claim to have the highest customer satisfaction for any mobile provider. This is a particularly impressive record, especially considering they have over 23 million customers! O2 have a strong online presence as well as over 450 stores located around the UK, making it ideal for those who prefer to speak to an experienced advisor in person. O2 understand that mobile phones have become an integral part of our daily lives and therefore it is important that our phones and their contracts suit our individual requirements. Therefore they work hard to help you find a contract that suits you and provide you with some great offers along the way. For example, O2 run a Refresh and Recycle deal, whereby you can upgrade your phone during a current monthly contract. This means you will no longer have to hold on to an old handset for a whole year and you can always have the latest model. You can even trade in your old handset and use the money from that as credit towards your new phone. If you are looking to make the most out of O2 then be sure to check back with us regularly for all the latest offers and promotions that can help you get your perfect phone contract and even more for your money. We constantly update our offers and recommend you check them out before jumping in at the deep end and spend more money than you need to.